ProDrop: Glamour comes filled with 30 beautiful glamour backdrops designed for Final Cut Pro X. Each backdrop contains 30 seconds of unique footage that users can shrink and expand in the Final Cut Pro X timeline. Customize position, size, color, speed, range, flares and many more attributes with easy-to-use controls found in the top-right inspector menu. 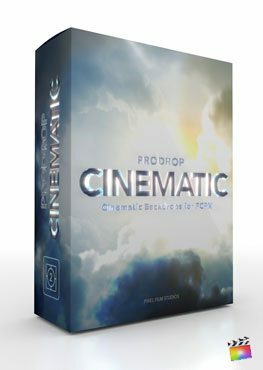 ProDrop: Glamour is a Final Cut Pro X exclusive. ProDrop: Glamour contains beautiful designs that animate elegantly and serve as the perfect backdrops for glamorous videos. Choose from stunning animated bokeh and flares that travel through a 3D space. Create a beautiful and glamorous video using ProDrop: Glamour. ProDrop: Glamour allows users to select from 30 completely customizable presets ranging from categories like colors, bokeh, flares, and more. Users are given customization over position, scale, speed, amount, life, and many more attributes inside of Final Cut Pro X. The styles included are unique and can be manipulated endlessly to create even more options. ProDrop: Glamour includes a variety of unique styles that contain their own personalized control sets so that each individual preset can be customized to the fullest. Utilize on-screen controls to change positions and scales, or adjust settings like speed, amount, intensity, color and more in the Inspector window. An Instructions Generator is also included to help answer any questions users may have about parameters. 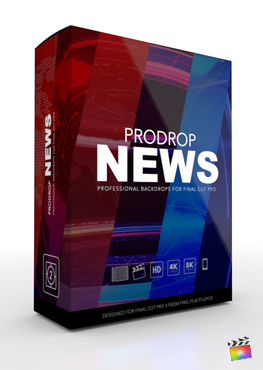 ProDrop: Glamour was professionally designed to work seamlessly inside of Final Cut Pro X. As a generator effect, each ProDrop: Glamour preset can be dragged and dropped into the timeline and previewed in real time. With the published parameters found in the FCPX inspector, users have the ability to make further adjustments with just a few clicks of a mouse. Where do I find ProDrop: Glamour? Once the installation is complete, you can find ProDrop: Glamour in the FCPX Generator library.